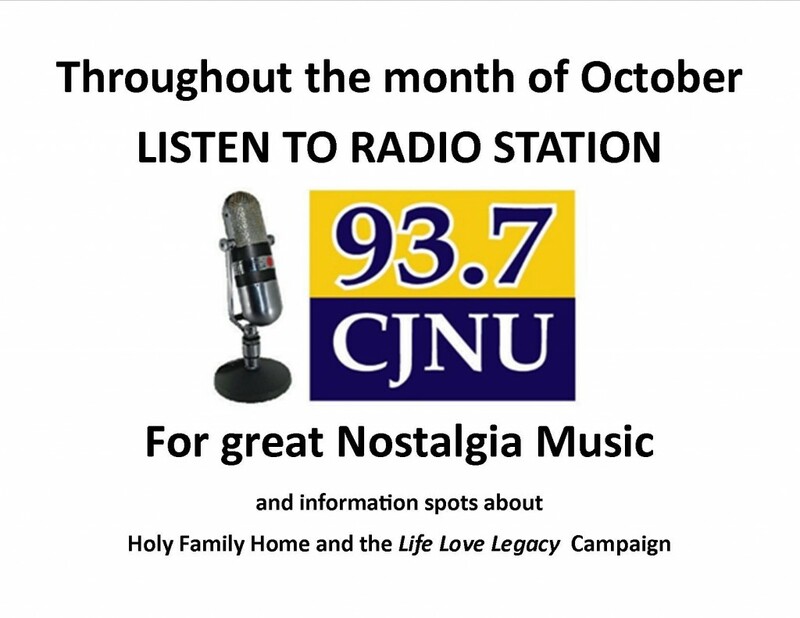 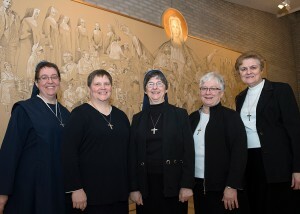 If you missed hearing the interviews about Holy Family Home on CJNU here they are for your listening pleasure. (l to r) Ron Malech, President Winnipeg Rotary Club, East AM, Jean Piché, CEO Holy Family Home and Lesia Sianchuk, CEO Lubov SSMI Foundation. 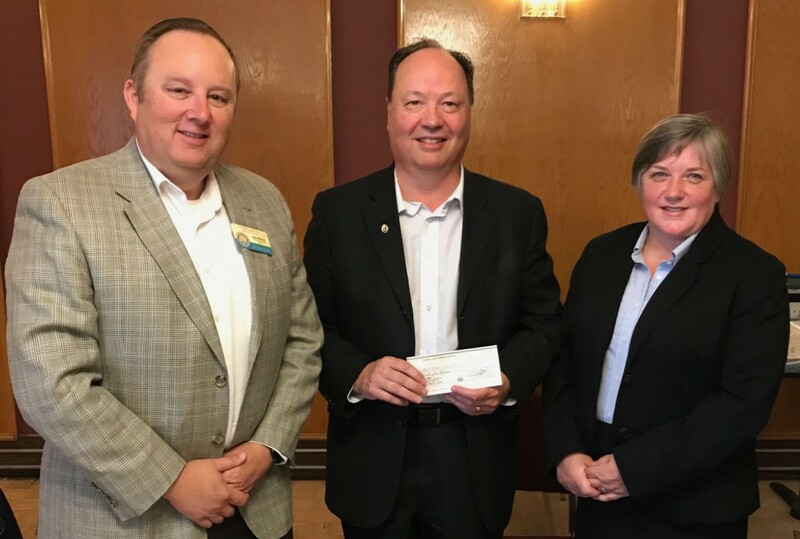 The Rotary Club presented a cheque for $7,500 in support of the Life Love Legacy Capital Campaign to expand and revitalize Holy Family Home. 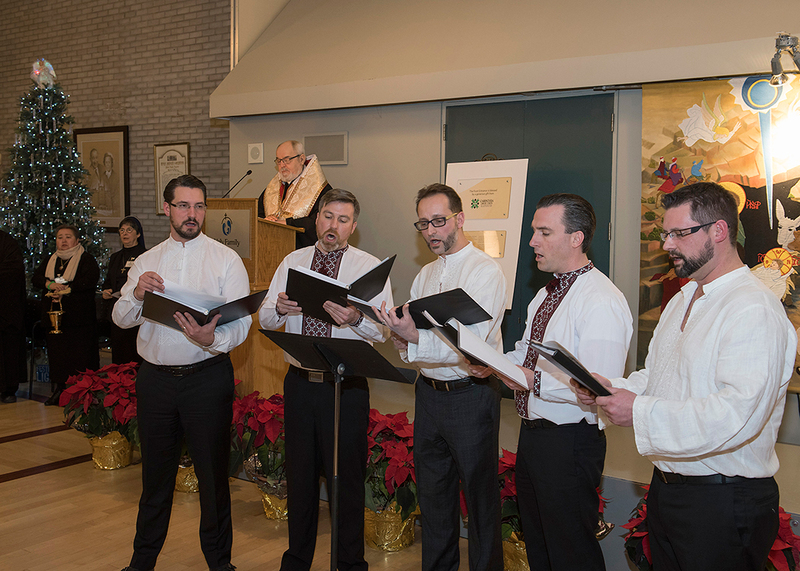 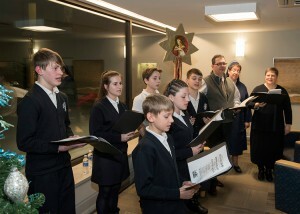 On Wednesday, December 13, 2017 over 120 residents, families, staff and guests gathered in and around the newly renovated Chapel at Holy Family Home. 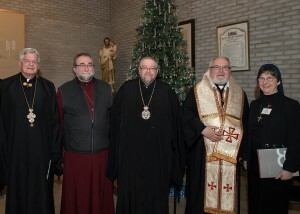 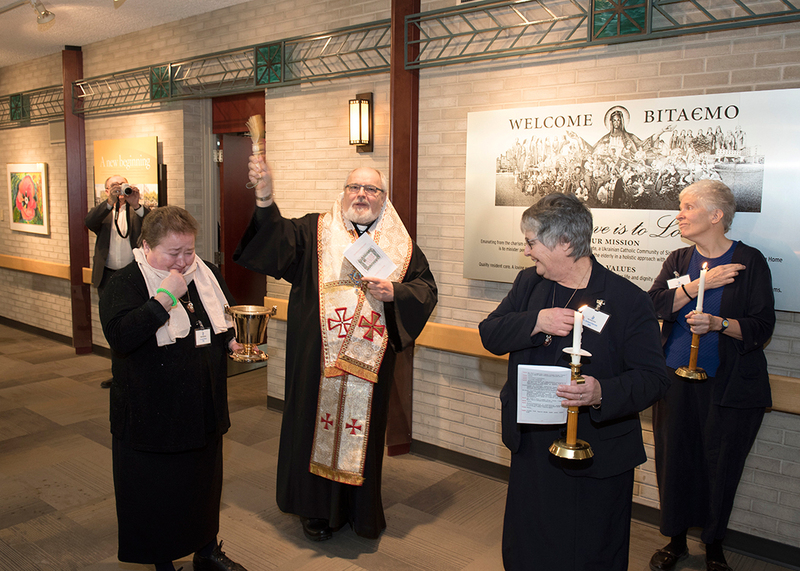 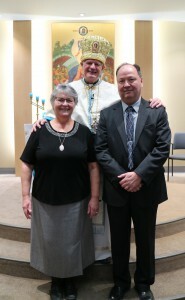 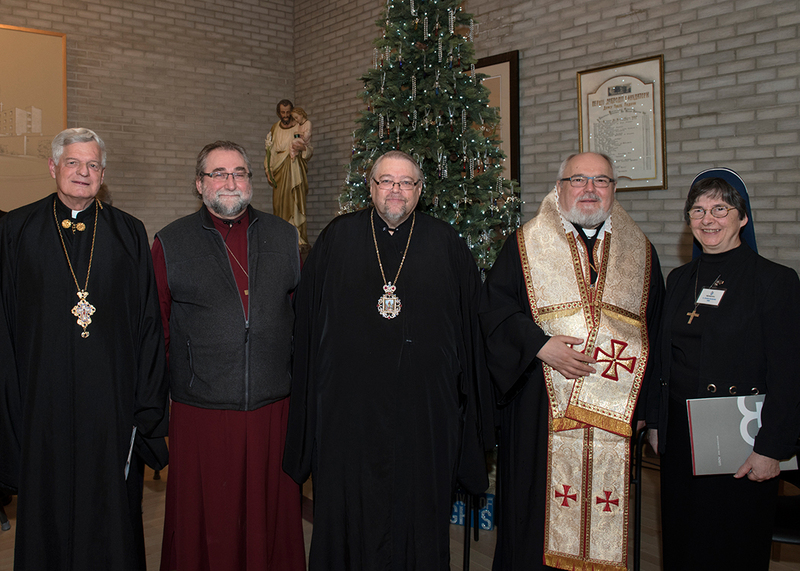 This first Liturgical Celebration and Chapel blessing was led by Right Reverend Monsignor Mitrat Protopresbyter Michael Buyachok, one of the lead donors for the Chapel Renovation Project. 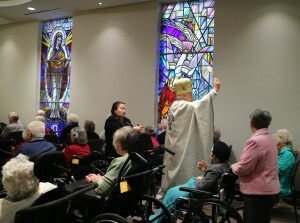 In his homily during the Liturgy, Monsignor recognized what a blessing it is that the Chapel opened at this time of year. 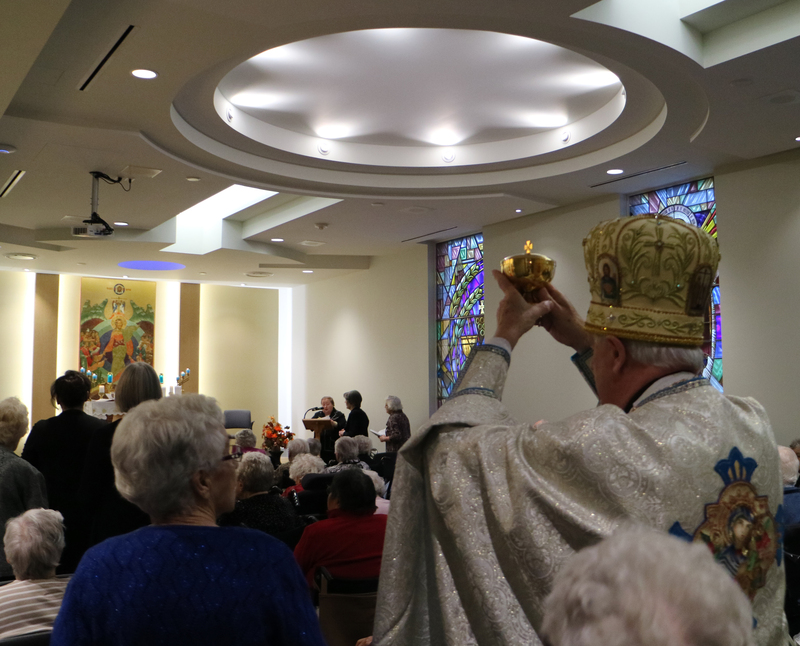 It is a time when we reflect on the Holy Family making their way to Bethlehem to prepare for the birth of their Son Jesus. 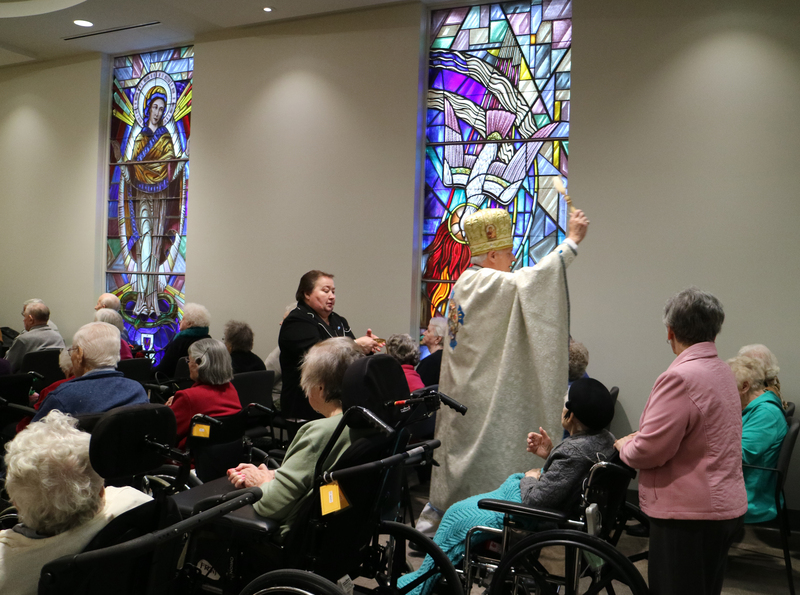 “You – residents and families are like Bethlehem; in this beautiful new space you are able to welcome Jesus into your hearts.” You could feel the joy, especially from the residents and see their gratitude for being able to once again come and pray in their Chapel. 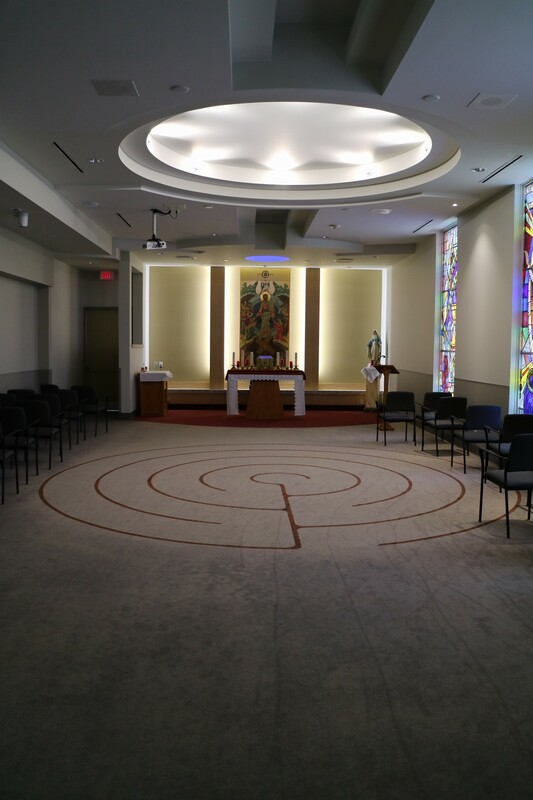 This sacred space has been beautifully transformed to be more spacious and inviting for all those who come to pray, or sit in silence and marvel at the great things our Lord has done for us. The design included the installation of glass windows towards the Town Centre, along with a monitor and sound to accommodate an overflow of people. This opportunity was tested during the opening Divine Liturgy. We thank all those that have contributed to make this Chapel Renovation possible. 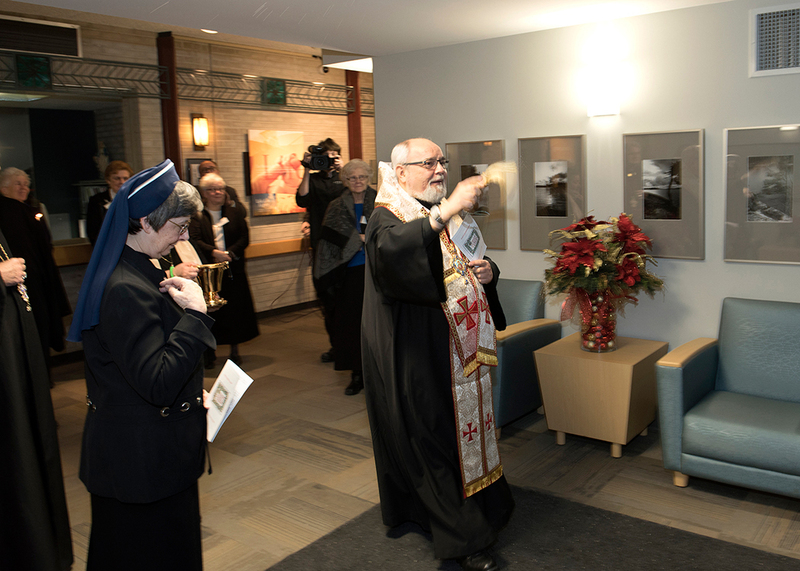 On January 11th, 2017, the new front entrance of Holy Family Home, blessed by a very generous gift from Carpathia Credit Union, officially opened. 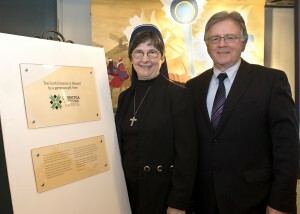 The Sisters Servants of Mary Immaculate, His Grace, Metropolitan Lawrence, His Eminence Metropolitan Yurij, Reverend Fathers, Donors, Friends and Board members joined together to celebrate this first complete piece of the Life Love Legacy Campaign. 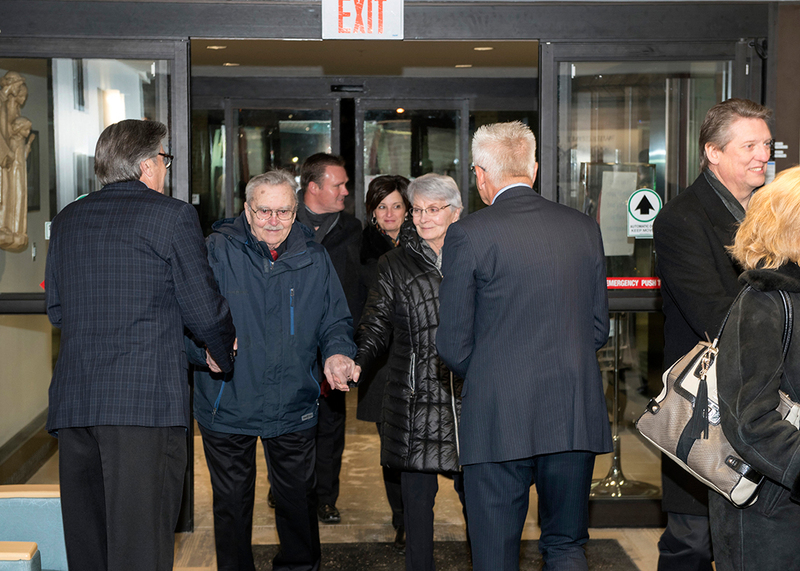 What is seen in the new front entrance is just the beginning of many more positive changes to come in the new addition and the areas to be renovated in our existing facilities. 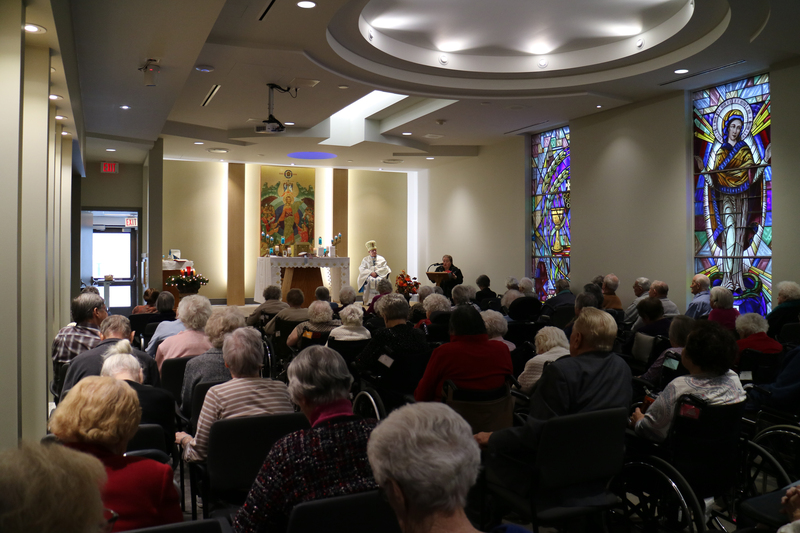 In mid-February 2016, Holy Family Home Inc. awarded a construction contract to Bockstael Construction to proceed with the Building Expansion & Revitalization Project. The project includes approximately 153,600 square feet with four floors of rooms, and 46,600 square feet of outdoor space for residents. 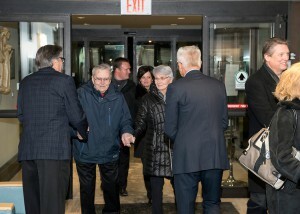 Following Sustainable Green Building design, the facility will include geothermal energy and comply with Manitoba Hydro’s Power Smart Program. 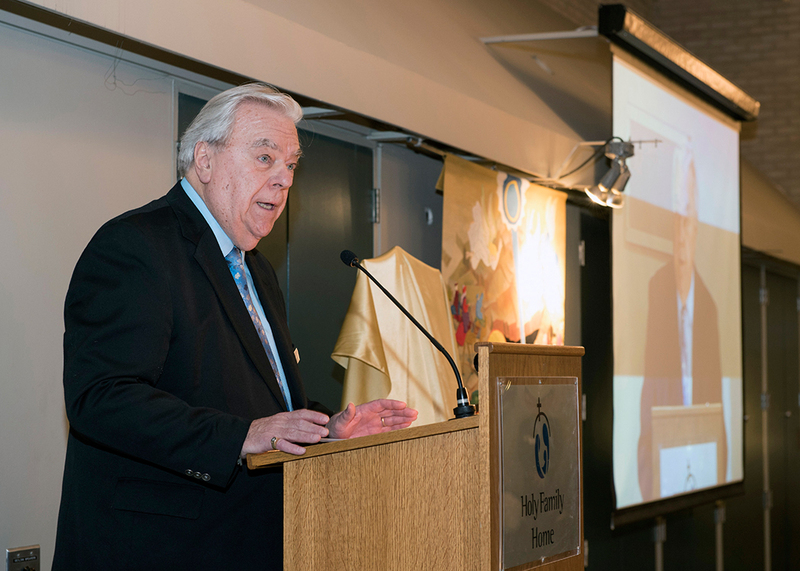 The new building on the site at Main Street and Redwood Avenue will replace the 116-bed Building B and provide an additional 41 beds for a total of 317 residents. 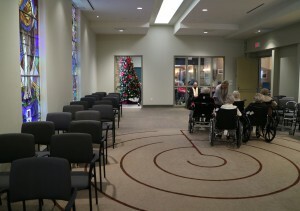 It will also include a number of renovations to the existing facilities at HFH. 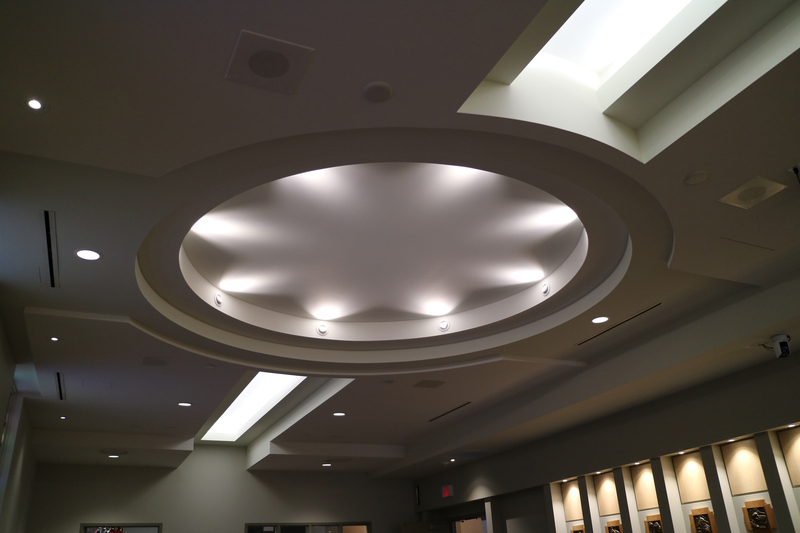 The construction will commence in April 2016, and will take approximately 134 weeks to complete. 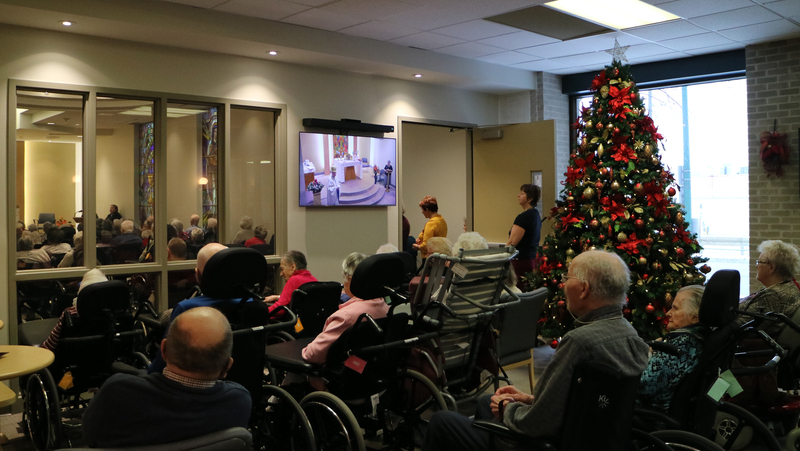 Regular updates will be provided through the Project Updates section of this website, internal flat screen TVs and other communication vehicles to ensure that all stakeholders are aware of progress being made throughout the construction period.